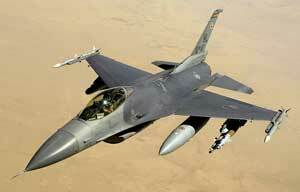 The F-16 Fighting Falcon is a multirole jet fighter aircraft originally developed for the United States Air Force. The Fighting Falcon is a dogfighter with numerous innovations including a frameless, bubble canopy for better visibility, side-mounted control stick to ease control while under high g-forces, and reclined seat to reduce the effect of g-forces on the pilot. ISO Group provides military aviation spare parts, components and MRO solutions for the F-16 and all variants. ISO Group has experience in the F-16 Fighting Falcon Engine Assemblies, Rotables, Consumables, Avionics, Hardware, Landing Gear, Electrical Assemblies, Fasteners, and Structural Assemblies.